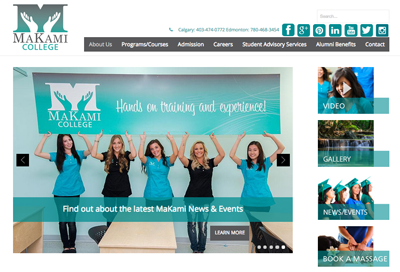 MaKami College is a private vocational college located in Alberta, Canada. It first opened in 2001. In 2010 MaKami was on the verge of closing its doors. The massage therapy school was looking for ways to promote their business and attract students. Always a dynamic, forward-thinking college, MaKami decided to try online marketing, despite the school’s dwindling budget. 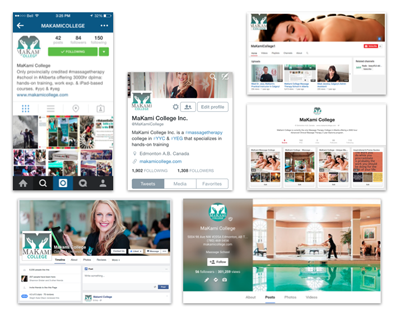 After implementing a successful trial paid online marketing campaign, the college decided to add social media marketing and content marketing to its online marketing plan, both of which were not yet conventional choices at the time. 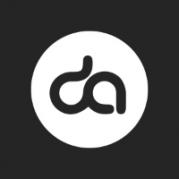 MKT began editing the company’s web content for better user experience, including improved writing inserting keywords and creating inbound and outbound links throughout pages. 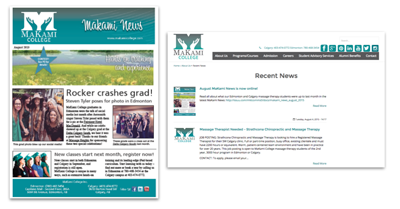 We also began writing blogs and writing, editing and designing a monthly college newsletter, MaKami News. At the same time, MKT began working on improving MaKami’s social media presence. We started with Facebook, which was the main platform at the time. 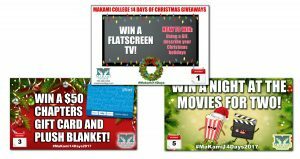 MaKami had less than 300 Fans to start, but consistent postings, contests, management and interaction by MKT resulted in now more than 11,500 Facebook followers (current as of January 2018). Over time, MKT added additional platforms. 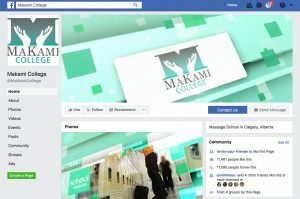 Today, we manage Facebook, Twitter, Instagram, Linkedin, Google Plus and YouTube for MaKami College. Today, MaKami is one of the largest private vocational colleges in Alberta, graduating over 1200 students per year. The school credits MKT’s social media and content management to much of its success. “MKT’s content and social media management has made a huge impact on our marketing success,” says CEO Marija Pavkovic-Tovissi. See MaKami’s full testimonial. 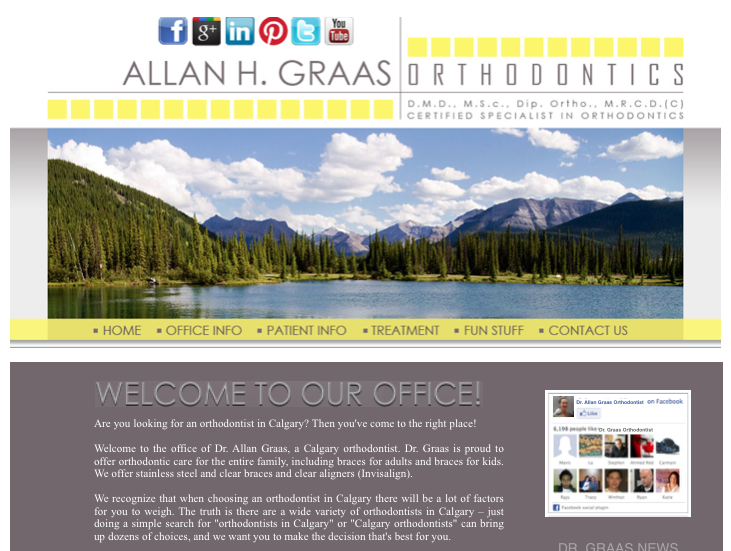 In 2012 Dr. Allan Graas was searching for online marketing help. He had an out-of-date website that was ranked on page 22 of Google, an unmanaged Facebook Page and a need for ongoing informative content to engage his audience and attract more clients. Within 1 month, MKT improved SEO and content on the existing website, increasing Google ranking from page 22 to page 1. We also optimized the existing Facebook Page and began managing Twitter, Pinterest, YouTube and their Google Business Page, increasing followers and interaction on all platforms. Over the course of 3 years, MKT built a new Search Engine Optimized website, created ongoing content such as web content, blogs, social media and in-office promotions and videos, and managed all social media platforms. 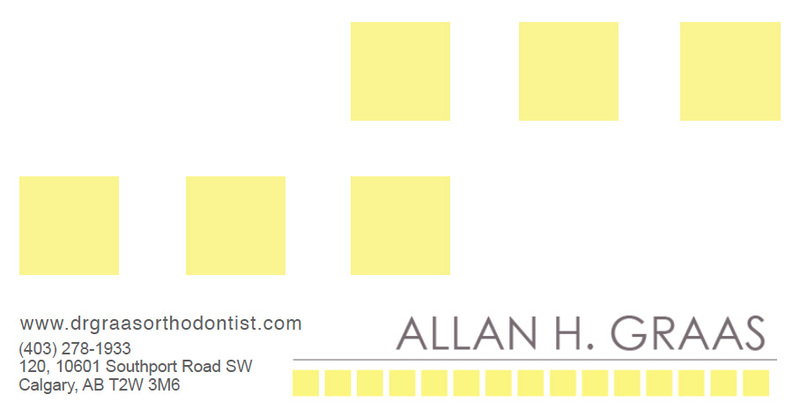 MKT increased views to the website from less than 300 to more than 7,000 per month, resulting in an overall 30% increase in business to the practice each three month period. 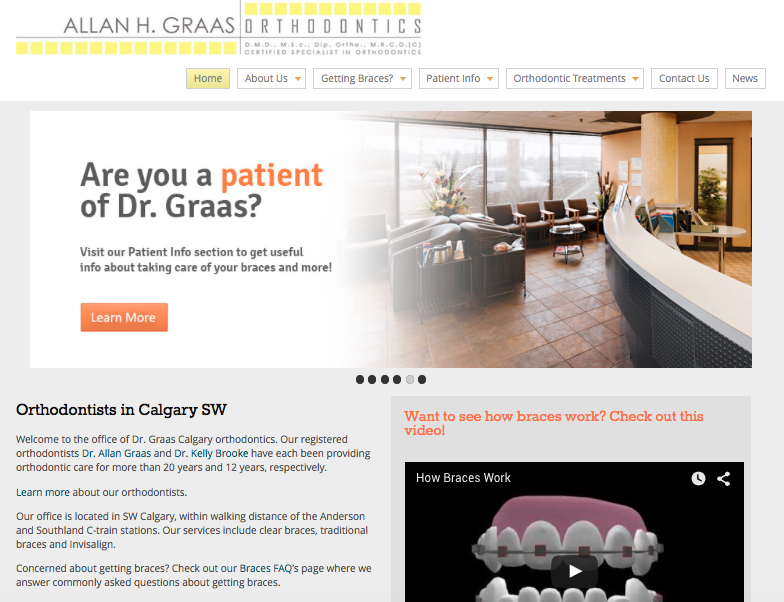 These efforts resulted in a busy practice, which Dr. Graas sold to Brooke Orthodontics in 2015, referring MKT to the new orthodontist. 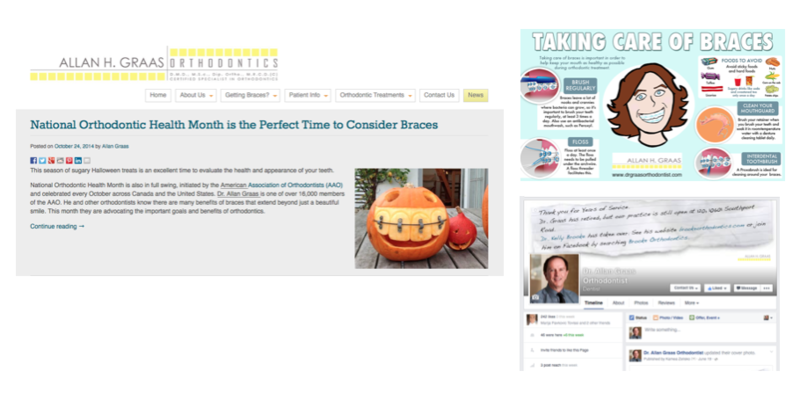 MKT currently manages online marketing for Brooke Orthodontics. Read about more ways MKT has helped our clients achieve their marketing goals on our Testimonials page.